The person sitting next to you, without you knowing, could be one of those vulnerable people that criminals are targeting. I was completely taken by surprise when a close friend admitted at a lunch in front of four other friends’, that he had been scammed for the amount of $400,000.00. This person knew that I had a Detective background but was too embarrassed to come to me for advice. It was too late by that time the money had disappeared. These criminals are brazen in their approach and even I get email scams everyday examples: “Saudi Princess has diamonds to sell without knowledge of her immediate family”, “buy gold dust direct from miners in Ghana”, numerous sob stories about having cancer and have $10,000,000.00 that they want to distribute, the list just goes on and on. 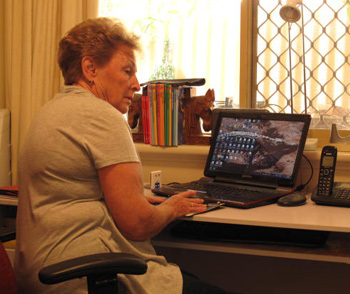 Scammed lonely vulnerable women who have been duped into sending hundreds and thousands of dollars to males promising marriage only to find out once the money has been sent, they disappear from the internet never to be heard from again. Criminals approaching you over the internet selling a house they do not own, it has happened here in Western Australia so check with Land gate or this office. Recently the head of the NSW Police Force Cyber Crime Unit was on television and explained he was also surprised the number of people and the quality and background of those people, caught up in being scammed for thousands of dollars and would have expected them to be the last persons to be caught up in a scam. WE HAVE THE EXPERTISE TO PREVENT THIS FROM BEING A TRAGEDY IN YOUR LIFE. YOU ARE UNDER NO OBLIGATION AND THE INITIAL INTERVIEW IS FREE. CHECK WITH US OR A LAW INFORCEMENT AGENCY BEFORE COMMITTING YOURSELF. WE ARE ONLY A PHONE CALL AWAY BACKGROUND CHECKS COULD SAVE YOU PEACE OF MIND.